There’s no better activity that will get you fit and active than mountain biking. It’s a unique sport that provides riders with the thrill they seek and the exercise they need. 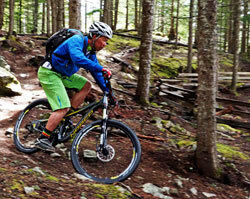 If you’re on a journey to lose weight, mountain biking may be the solution you’re looking for. It’s unlike any other exercise regime. Rather than spend hours at the gym, why not hit up a trail to challenge the mind and body? With that being said, mountain biking can be a challenge to those that aren’t in the best shape. It takes a lot of control and endurance to dominate a trail. Here are a few tips that will help you make the most out of a riding session to ensure that you’re well on your way to losing weight. On your first ride, it’s important to stick to trails that are easy. Just because you’re on a mountain bike doesn’t mean that you have to ride with the same intensity as experienced bikers. Instead, go for a slow and steady pace that you’re comfortable with. Stick to established trails and strive to bike for at least 100 minutes during the first few weeks. After you get more comfortable, try to get out on the trail more often. The key to losing weight is increased frequency of your workouts. Try to add more time to each ride. An average of 150 minutes of riding is ideal at the very least. If you’re up for the challenge, aim for even more riding time. While riding for a few hours on an easy trail can make some significant changes, you’ll want to increase the intensity of your ride when you’re comfortable. Stray off the beaten path and look for more challenges. Newer and less developed trails are often filled with more obstacles to get around, such as steep hills and challenging turns. An abundance of inclines will increase the intensity of the ride significantly. It may take longer to get through, but the added challenge pushes the body to burn more calories. Once you’ve gotten comfortable on a trail, move on to a new and exciting option. Keeping tabs on exactly how much calories you are burning can provide you with ultimate control in your weight loss journey. During a ride, the heart rate will increase dramatically. This leads to better cardiovascular health and more calories burned. 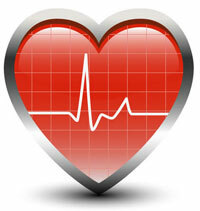 Keep track of your heart rate to know when you are burning the most calories. You can take your pulse on your wrist to figure out your heart rate or invest in some quality tracking gear. Heart rate monitors will let you know how much calories you’re burning at any given moment. With this information, you can set goals and adapt your eating habits accordingly. One of the biggest misconceptions about mountain biking is that you need to pile on layers of clothes to see the most results. Sure, those extra articles of clothing will make you sweat more, but they’ll also lead to dehydration. Losing weight by dehydration is never a good idea. It’s especially detrimental to bikers. Dehydration and excessive sweating can lead to weakness and confusion. It’s important to keep things light. Of course, riders should always dress themselves according to the weather. However, those extra layers and accessories like leg warmers and jackets should be left behind. Instead, you should stay comfortable and hydrated throughout your ride. While it may seem a bit awkward and unorthodox at first, it’s always a good idea to take a few snacks along for the ride. These snacks should be healthy and easy to carry in a pocket or backpack. You should take a moment to stop and get a bite to eat during the ride. This extra nourishment can do wonders for your performance. You’ll be able to ride longer and harder. Extra food also helps to curb your appetite and prevent overeating after a ride. It’s not uncommon for bikers to eat and replenish after hitting the trail. If you’ve already done this during your ride, you’ll eat less and avoid unnecessary calories. To burn the most fat, you have to be strategic about your exercises. One of the best ways to burn fat even after you’re finished riding is to push hard at the end. Hard efforts call for increased oxygen consumption. With that big final push, your body will continue to consume oxygen after you’re done. This extra oxygen triggers the body to burn stored fat. 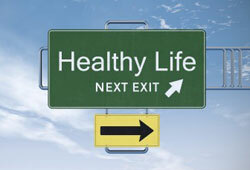 Essentially, this means that you’ll continue to burn fat as you come down from the ride and begin to relax. All it takes is a final push before you’re finished. While it may be difficult, it can make all the difference when trying to lose weight. Why is Mountain Biking So Effective For Weight Loss? There are a number of reasons why mountain biking is the go-to activity for guys that want to lose weight and get fit. The very nature of the sport is challenging on the body. However, the effectiveness of mountain biking for weight loss goes beyond the physical benefits. It’s also incredibly effective for training the mind and making a lifelong change. Mountain biking is an aerobic exercise. Also known as cardio, these types of exercises increase a person’s heart rate and gets the blood flowing. On a ride, you must constantly use various muscles in the legs and body to traverse turns, stay upright, and make your way through a trail. There’s a constant push rather than short repeated intervals that are present with strength training. This alone makes mountain biking effective at burning fat. People gain weight because excess energy is stored away for later use in the form of body fat. Unfortunately, this accumulates if you’re not very active. 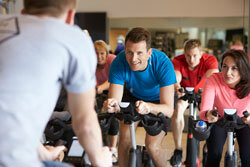 By engaging in aerobic exercises like mountain biking, you are able to work your way through that stored fat. Once the heart rate has risen, long riding sessions will burn through available energy from food that was recently consumed. Once this is burned through, the body will use the stored fat to get you through the ride and beyond. So even after you’re done riding, your body will continue to burn stored fat. One issue many men face while trying to lose weight is complacency. It’s very easy to get comfortable and bored with a workout routine. Whether you’re lifting weights or running, your body will eventually fall into a reasonable pace. This results in the heart rate dropping to a point where the body will stop seeing progress. With mountain biking, there’s a constant challenge to keep you on your toes. Trails are usually filled with varying degrees of incline, an abundance of twists and turns, and even a few drops and rough terrain. Some portions of the trail may be a breeze to get through while others will have you pushing hard. This constant variety keeps the heart rate up to boost your body’s ability to lose weight. In addition to pushing the body beyond its normal limits, mountain biking exercises the mind. With other exercises, people can become content and absent-minded. Over time, people simply go through the motions of their routine without even giving it a second thought. This is not possible with mountain biking. You must always be alert on a trail to safely navigate it. It takes a lot of mind power to get through tougher sections of a trail. Not only that but there’s also the added challenge of navigating maps, using compasses, and much more. All of this brain work keeps you focuses on the task at hand and the overall goal. You’ll become more alert and always aware of your progression. Last but certainly not least, mountain biking is a very fun activity. It gets the adrenaline pumping and is a thrill for anyone who partakes in it. It’s easy to stay on track when you’re doing something that you love to do. With the unique obstacles, challenging trails, and breathtaking views, what is there not to love? If you’re riding with other enthusiasts, there’s also the added aspect of competition and social fun. Most people who engage in regular workout regimes at a gym will get bored at some point. While they can always switch up their routine, it’ll never match the fun and excitement of mountain biking. There’s a unique sense of freedom and adventure that can’t be matched. Even if you’re a novice rider, you’ll find yourself wanting to get back on the trail whenever you can. Before you know it, you’ll start losing weight and getting healthy. All in all, mountain biking is great for losing weight. On a purely scientific standpoint, the cardiovascular exercise burns through fat better than standard gym activities.